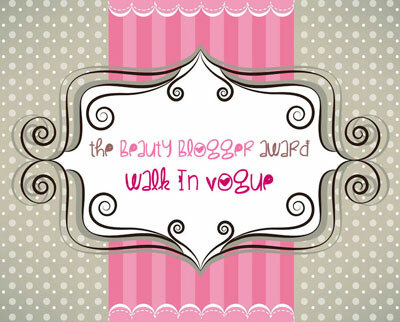 I have been nominated for “The Beauty Blogger Award” by a Very Sweet Fellow Blogger, Umaima Mehtab of Dudette’s Talk. Thank You so much Darling for nominating Me, it was really fun writing this post. Girls! you must check out Her amazing blog and join Her on social platforms. Answer the questions given by the blogger who nominated you. Nominate other bloggers and link them. Create 10 questions for the nominated bloggers. So let’s see what this Award post is all about…! 1. How many people have you told about your blog in real life? – No one in particular. I mean, my family knows that I run a blog, but they do not have any special concern towards it. I just told a close friend of mine as She is my best supportive person ever. All my senior blogger fellows have always encouraged and help me a lot, and I really love them all. 2. How many foundations do you own? – In order to get a perfect match for my skin, I tried a lot of foundations but currently I have only one favorite. Currently I’m eyeing on Mussarat Misbah’s Silk Foundation. However, I prefer BB Creams over foundations. 3. How much time do you spend doing your makeup on a daily basis? – If I’m staying all day at home, I barely wear makeup. Else, it takes just 10 minutes. Some nice BB/ CC cream and Baby Lips/ Lip Gloss/ Lipstick are needed. Often, a bit eye Liner looks good equally. 4. What is your favorite eye shadow color? – I love Brownish Copper Smoky eye makeup. So shades of Grey, Black, Brown, and Beige are my all time favorite picks. Also, bold purplish eye makeup gives you a stunning look. 5. What is your favorite makeup brush? – I have two brush sets lately, but I use them intermittently. I use Real Techniques Miracle Sponge for base application, and Sigma brushes are on my wish list. 6. When you go to a drug store what brand do you look for first? – Maybelline, or other available brands. I always make observation of genuine and replica products at any drug store, and go for the original brands. Stuff with cute packaging incessantly attracts me more. 7. What was your first makeup item? – Nail Paints and Lip Glosses. I was much obsessed with nail colors and nail art items at my teenage. 8. Do you regularly or have ever self tanned? – Oh no, never. I do not like that tanning effect, but the student life have had gifted it to me. We do not need it rather in Pakistan, right? 9. How do you feel about over drawn lips? – I like to keep things natural as much as possible. Over drawing them with lip products can look cool, but I do not favor Botox or any artificial thing. 10. Do you contour on a daily basis? – No, just occasionally. I have God’s gifted angular nose, so I do not need it indeed. Nowadays, Strobing is trending and seems much cool and easier to adopt. Hey Girls! Lemme know in comment section how you relate yourself to these questions…!! The Beautiful Blogger & The Versatile Blogger Awards!! Glad you loved them Sana…Your words really means a lot! Thanks for sharing such interesting answers. Hello from Spain: congratulation. I just discovered your blog and I like the variety of topics that you write. Fashion and beauty are my hobbies with my Barbie doll collection. Right now I have a blog dedicated to those dolls that I invite you to visit: http://all4barbie.blogspot.com.es/ If you want we keep in touch. I already made me a follower of your blog. Thanks so much Dear! Your words means a lot to me… I have followed you on all social platforms and inboxed you my details! I'm glad you like them Dear! thanks a lot for tagging.. interesting answers . very well and interesting 🙂 thanks for sharing with us!